US taxpayer subsidized IRS tax-free foundation and the pain it brings. 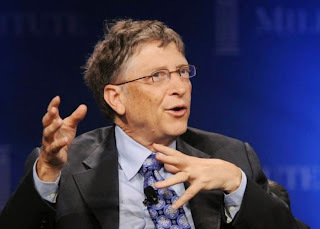 Bill Gates' philanthropic body, the Bill and Melinda Gates Foundation, has been accused of complicity in the torture of Palestinian prisoners through its investment in British security company G4S. G4S provides security services and equipment at Israeli prisons where allegations of child torture, forced confessions, overcrowding and medical neglect have been raised. The foundation, the largest in the world, last year purchased £110m ($172m) worth of shares in G4S, something that human rights charities, such as Addameer Prisoner Support, claim contradicted the foundation's belief that "every life has equal value". A petition from the Addameer charity claims that "the Gates Foundation is legitimising and profiting from Israel's use of torture, mass incarceration and arbitrary arrest to discourage Palestinians from opposing Israel's apartheid policies". The calls come as people around the world participate in protests against Israeli prisons and G4S' role on Palestine Prisoner's Day (17 April). More than 5,000 Palestinians, including 183 children, were in detention in Israeli prisons. War on Want's senior campaigns officer Rafeef Ziadah said: "Through its shameful holdings in G4S, the Bill and Melinda Gates Foundation, the biggest charitable foundation anywhere, is legitimising and profiting from the multinational's complicity in Israel's military occupation and imprisonment of Palestinians. "Along with many human rights organisations across the world, we urge the foundation to divest from G4S now."